What would you do to get home if you were being given the chance after being stranded far away for sixteen years? The only requirement is that you have to go right now and take nothing with you. Would you go? I’d be willing to bet that you will say you will go? 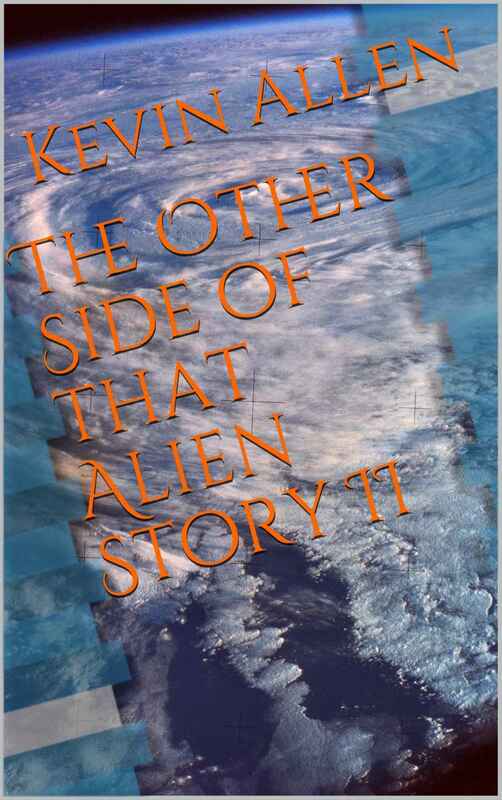 That’s the decision that two teenagers will be asked to make in The Other Side of That Alien Story 2, a short young adult scifi story by Kevin Allen published independently through the Amazon kindle platform. While Bernard Sidney and Erin Sagassy have always been close friends, they will become even closer after their colony makes contact with the intelligent beings of Kajteknin, the planet they were born on. The inhabitants closely resemble what Earth’s astronomers had long speculated alien life would look like – tiny, gray, with bulging black eyes. These aliens are as far advanced in science and technology as speculation could have it. And as it were, these aliens will use their advanced knowledge to point out that, contrary to what earth history books are teaching Earth did not die after being struck by the meteor that caused great destruction, and humans to abandon the planet in 3028. One of the aliens will prove for a fact that the Earth is still alive and teeming with life during one of the often-spirited debates Erin and Bernard have with them. And, after further discussion, the two of them will be offered the chance to travel to Earth. Bernard tells the story of an otherwise happy-go-lucky kid in love with life and Erin in The Other Side of that Alien story 2. Through his words and eyes, we weave through the undertakings of their newfound friends’ attempt to aid them in developing Earth technology to work on their new home. But Bernard has a problem trusting them. He feels it’s because of the prayers he hears his mother lamenting every morning. And we are left to wonder what truths will be revealed as he continues his happy life on a world far from Earth, until he’s given the chance to actually go to Earth after a one time offer that expires when the conversation ends. Kevin Allen is a writer from Massachusetts known for daydreaming for days on end. When not daydreaming, he can be found toiling forty hours a week to support his writing and artistic habits, both products of his incessant daydreaming. To contact Kevin Allen use metawriter at Twitter and Yahoo-email and on facebook to like his page and interact there.